When it comes to T-shirts, for the past few years, it's all been about boxy fits with a crew neckline and a loose shape. However, this summer, The O.C. 's Ryan Atwood has become an unlikely source of style inspiration. That's right—a white tank top is no longer something you wear to rescue unprofessional work blouses. 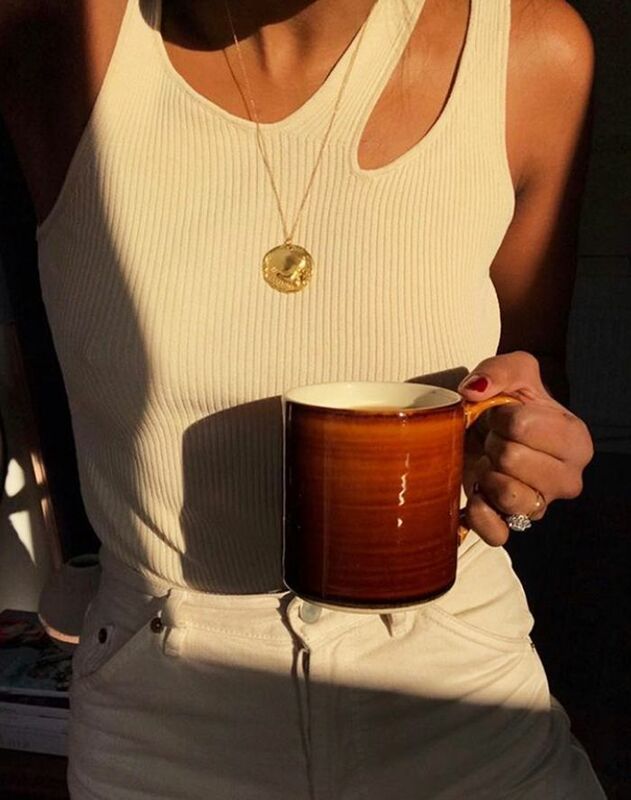 Goldsign is partly behind the return of the tank, as its racer-front white T-shirt became a cult street style buy in 2018. The likes of Tom Ford and The Row have given the tank top a luxury makeover, but if $959 for a tank top sounds utterly ludicrous to you, we also love Weekday's $11 version and Topshop's high-neck $20 racer tank. To make this look more elevated, we advise going for creamy hues rather than bright white. Also, pay close attention to the fabric. Arket's ribbed knitted tanks and Jigsaw's silk tops look particularly expensive. Keep scrolling to shop our edit of the best tank tops. Next up, see our guide to the key trends for spring and summer 2019.